This week we are really on a role. 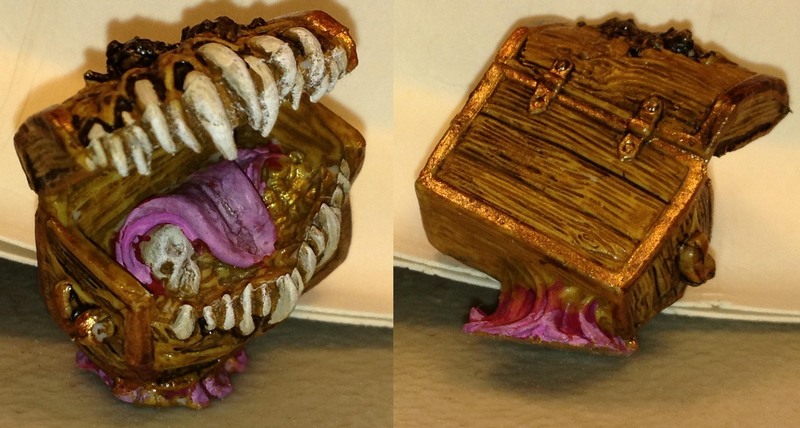 Not only do I have a couple really nice miniature related Kickstarter projects to bring to you, but no less than 5 different mimic painters posted in the below. How exciting! Fairytale Games – This is a mini set doing everything I like to see: launching a new project before they fulfill their old one and being completely derivative in the process. Still if you want fairy tale minis with steampunk and zombie themes they are the only game in town; I will even say (grudgingly) that the quality of the sculpts/renders are quite good. Pewter Ponies – Want some my ‘My Little Pony’ miniatures for the brony on your Christmas list? Here you go. I can’t imagine they won’t get sued for this though. Shadowsea – This is the second launch for the third project of this creator. Antimatter games is really cranking them out. There is some quality hidden among the commerce here, though I think it should be allowed to percolate a little longer. Tin Man Miniatures – There are some very out-there sculpts on this campaign. I would say it is worth checking out for any lovers of retro sci-fi, but my favorite part is how it is labeled the 2013 campaign. I think it is intended to become a yearly thing. Defiance Games – I kinda wanna back this one just for one of the hardsuits pictured at the top of the page. It’s a lovely model halfway between Macross and the more ubiquitous space marines – a lovely combination. 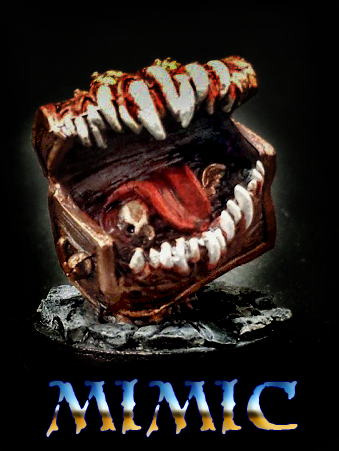 First up we have my Mimic. It came out well enough, though my painstakingly blended brown and purple is washed out by my poor lighting. I suppose I will have to work on a lightbox. 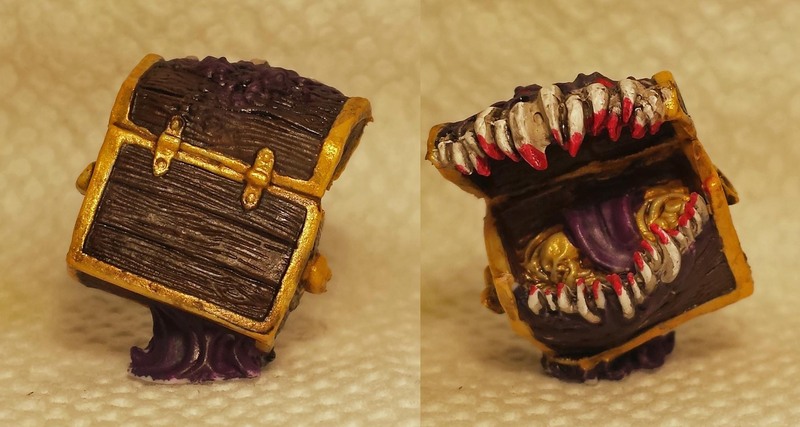 Next comes Jessica, who painted not only the mimic but the treasure chest from the dungeon scenery. As always she does a fabulous job. Next we have Clint’s submission, looking especially vicious. 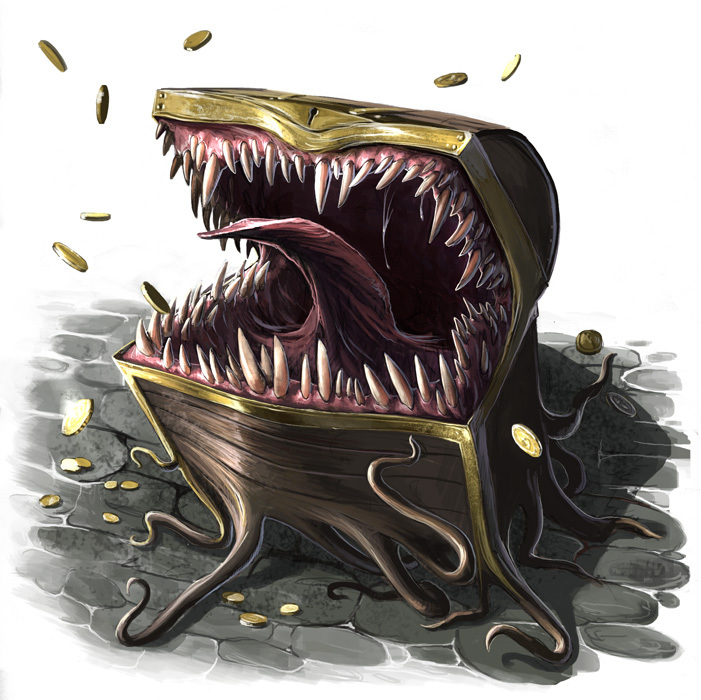 Jeff joins us once again, with his own mimic in the same color scheme as my own. Lastly, new arrival Peter blows my socks off which his black light reactive Mimic. Not only does it glow, but it looks amazing in regular light as well! Way to go Peter. 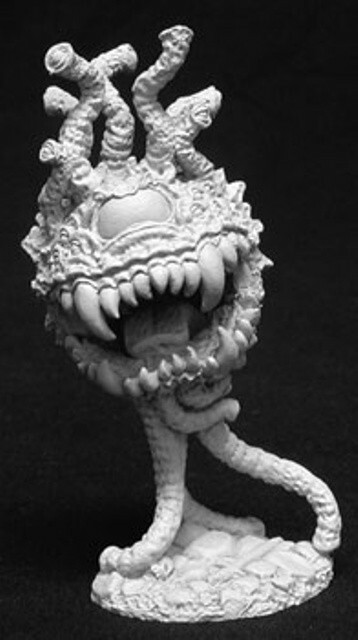 Next week we will stick with the monstrous, and paint ourselves a Beholder (for legal reasons I mean eyebeast!) If you want to participate, please send me your pictures to caffeineforge@gmail.com.